I’ve recently spent a lot of time thinking about drugs. No, not those kinds of drugs, although they do cross my mind occasionally (don’t tell my conservative mom). I’m talking about pharmaceutical medications, particularly those as basic as over the counter drugs like Nexium, Advil, Claritin and so on. If you haven’t thought to yourself “what a weirdo” and moved on to the next article, stick with me here. It’ll all make sense soon. Wake up, take a Prilosec pill, breakfast, daily schedule, dinner, take a Zantac pill and then bed. I followed this pattern seamlessly for about four days. On the fifth day I woke up with a weird feeling in my gut. Weird enough for me to notice, but not weird enough to make me hesitate before throwing yet another Prilosec pill in my mouth. Not even an hour later, my gut was forgotten. That night, I had one of the worst experiences of my (relatively young) life as I had an adverse reaction so grotesque I believe I have a duty to spare you the details. Given life’s perfect timing, this reaction occurred in the midst of a date I had worked all week to set up and needless to say, I did not get a text back. My recovery time was spent surfing the web for why I had the reaction I did. It took me barely any time to discover, as you probably have guessed by now, that my reflux medications were the cause. Big surprise. I dumped the drugs and stopped taking them. However, there was still the issue of my acid reflux. I could not use the one effective treatment for the condition so what other option was there? 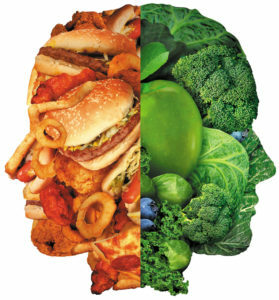 This led me to do more research and discover that altering your diet could play a role in alleviating reflux symptoms. This seems like it should be common sense. In addition to prescribing medications to treat reflux, doctors often tell their patients to lay off certain foods. This is surface level stuff. But more importantly, I found that there was a hypothesis that diet alteration, in addition to lifestyle changes could over time treat acid reflux. 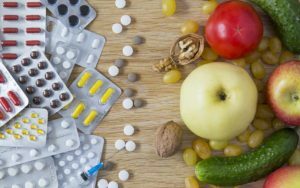 In other words, diet and lifestyle changes with patience could be sufficient enough to treat what powerful, pharmaceutical grade medications could not. I personally found this mind-blowing, particularly as millions of people end up taking these reflux medications for decades, if not forever. It’s no wonder the global Gastroesophageal Reflux Disease (GERD) therapeutics market is expected to reach USD 4.34 billion by 2025, all while never curing the disease. This realization led me down a new train of thought: If altering my diet could over time treat my reflux, what else could it do? How much of the health issues we fix, or attempt to fix, by pumping these foreign chemicals into our bodies could be solved by a simple alteration of both our lifestyles and diet? Eating more greens, exercising more, going to bed earlier, spending less time on social media and our phones. Its amazing how these small incremental changes can snowball into massive positive effects. I believe a perfect example of what I’m saying can be found in the contrast between developed and developing countries. Most health professionals will tell you that developing countries have a leg up on developed countries in the aspect of diet. I know that sounds insane considering every once in a while you turn on the TV and see a commercial asking you to donate to starving, malnourished children in Africa. But the fact is non-westernized populations have remarkably low instances of health issues like obesity, diabetes, coronary heart disease, colon cancer, autoimmune issues and so on. The difference? Diet. Non-westernized populations tend to eat more nutrient dense and natural foods. Now for the fun part. I have no medical degrees, and the point of this article is not to say that a healthy lifestyle is the key to immortality. Warren Buffet is 88 and drinks about five cans of Coca-Cola a day. People with healthy lifestyles have been known to randomly drop dead of heart attacks, and heck, I even choke a little every time I eat a piece of broccoli. I am also not saying that these pharmaceutical medications are ineffective. On the contrary, they may be too effective. My reaction was caused by the fact that the reflux medications had restricted the acid production in my stomach to a point where it was untenable. 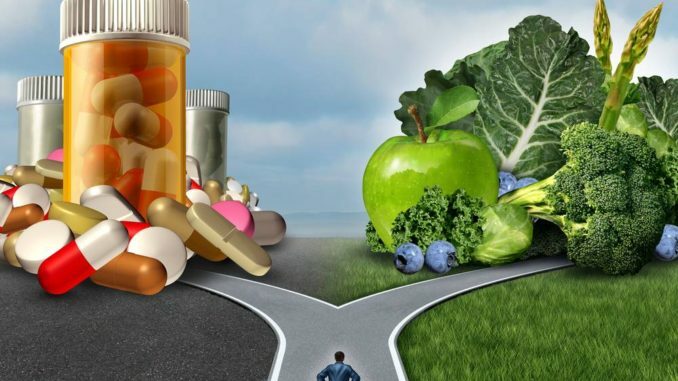 This article simply reflects the musings (and sometimes ramblings) of someone who has actively begun to weigh the benefits of pharmaceutical medications vs. a diet and lifestyle overhaul. And I think it is worth you doing too.